Today we’re going to focus on the online marketing funnel.Do you know, Stats and your numbers every small business owner should be familiar with? we’re going to present it in a way clarify a lot of the confusion out there. Also learn kind of analysis paralysis or fear of all the metrics you hear floating around out there on the web. we’re going to do a very simple overview of the three levels of the marketing funnel learning how to and measure, how you reach engage and convert more of your business online and ultimately get more business online. 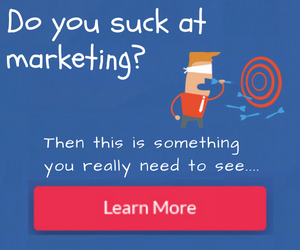 how the basic marketing funnel works? Describe the some of the terms associated with it the tactics we use to address each level of the funnel and most importantly the metrics that we use to measure our performance and also learn how to use a simple Excel spreadsheet to track your marketing and to look at all these numbers associated with your marketing. and kind of make sure that you’re spending money where you should be where you’re getting the best return on investment and chopping off the marketing activities that aren’t producing an ROI so the basic marketing funnel and the most it’s most simple form possible. The first phase is obviously you want to reach more real target audience online the second phase is to engage and finally to convert into leads. When I draw this as a funnel you can obviously see the logic that then obviously the tip of the funnel is going to be customers that we get we’re going to talk about that later so the most basic online marketing funnel involves these three phases to reach engage and convert online and obviously that’s to be to oversimplify this but it’s funnel shape because you’re going to have a whole bunch of people that you reach everywhere in the web that come and visit your website you’re going to engage them with content and kind of the layout in the format of your website and finally you’re going to convert them hopefully as many as possible anyway into customers so this is the most basic form of the online marketing funnel we can draw here and just some of the terms associated with these levels. When we describe your online reach you might hear terms like the impressions. That you’re getting another term to describe your online reach. We know you’re very familiar with as visitors and visits. For engagements you might hear terms out there like, page views anything that describes how long weather people last. Means more than first three seconds before they bounce. another way to look at engagement and maybe even if you have a book or something on your site maybe downloads we’re not talking about phone calls and forms that’s the next thing is when finally for the smaller percentage of people they’re engaged you want to convert as many as possible into leads so we would measure that well really simple as leads and maybe phone calls so we’re going to obviously have to measure those things. so those things there’s really nothing else you can do as far as reach except for existing clients and nurturing what we’re not talking about that here this is for new business the second level how do we engage people well the methods we use there we might that’s defined as kind of our web design having good design and navigation and making it so really I want to be clear I’m defining engagement as getting somebody to be engaged in which minute again not to oversimplify to stay on your website more than the average which is about four to seven seconds so if they see an appealing design and credibility. for now we can say just the design the content which might be articles Bloggs would increase engagement if you use videos. it’s a big reason obviously we do videos for more engagements every small business should have a video on their site. that’s all we do is film videos, because we believe that some forks instead of reading, going to engage more with videos. it’s almost like you get to meet each person directly, while you’re sleeping at night. they get to come to your website or video to find out about who you are, here your expertise and how you can address their needs and that’s just something that that you can’t do with boring blog post. How do we convert well? we use things like web forms we have trackable phone numbers we might even use things like online chats. There’s a whole bunch of ways you can get. so the whole point here, How you reach,how many visitors coming to your site and it’s about increasing your online visibility from free and paid methods. engagement is getting people to stay there and it’s kind of like if you look at even back to the days of Ogilvy or Claude Hopkins it’s it’s the whole purpose of a headline think about something coming to your site is not to sell anything it’s just to get you to hang out long enough to read the first paragraph I’m talking about of an ad obviously well guess what the reason or the purpose of the first paragraph is to get you to hang out long enough to read the second paragraph and all the way down to the call to action so you convert with offers and obviously you’re gonna have a call to action. tactics we use are how many people you’re reaching online, are you measuring, how they’re engaged and how many you’re converting into leads. so we’re going to talk about metrics next but before I do that I want you to answer this question honestly and you can do it out loud if you want might be a little bit weird because I’m not going to hear you but you can do it via the comments under this blog post. but seriously every small business owner I can’t underscore this enough if I asked you how many visitors you coming to your website are coming to your website each month what percentage of those are converting into leads and kind of what does it cost you to do that you should know the answer to that you should know return on investment. so but before we go too far we just need just AB which the definitions this and finally we’re going to talk about the metrics The metrics the minimum metrics that you should know for your business and your website. all you do is measure the stuff it’s kind of like if you just step on a scale once a day your subconscious and your activities and everything you do might just by measuring your weight you might make lifestyle changes that address and improve that just because you measured so measurement alone is number one so how do we measure our reach online well we look at for the for the sake of simplicity just talking about your website let’s talk about our visits now there’s a level of engagement I know from people seeing you on a search engine to clicking through to your site and then pay-per-click we can measure reach that way an engagement but to make it very simple we need to start with the system that we can use immediately and not be scared off by the metrics so let’s just say that we’re going to measure reached by visits to our websites how are we going to reach engagement well we might say you might measure our bounce rate. measuring your in time using Google Analytics in the most simple way possible to measure your traffic. but let’s just say we’re going to measure bounce rate that’s the percentage of people that come to our site and without clicking through to anywhere else on our site or a link referring so a user to another website that you’ve recommended they just leave so the bounce rate let’s keep it simple and I like to say the bounce rate equals the back button. now conversion how do you measure conversions this is again so important to say out of all these numbers conversion how many leads did I get the phone calls or Alize now you might be sitting in right now saying let’s all find a good area but how do I measure all the stuff that’s what this course is about each one of our modules whether we’re talking about about creating an engaging WordPress website that that compels people to contact you or increasing your online visibility and and whether or not you should use social media it’s like we’re going to do the most simple step-by-step program possible and put these tools in place so Google Analytics really easily can tell you all this stuff on here you can use simple plugins or simple web forms or so I want to give you a whole different bunch of options depending on how and how far you want to go but it’s easy to measure to do trackable phone calls or he leads or you can even do it the old-fashioned way and just measure them having whoever handles your intake do that so again reach engage converts the most simple way to look at the online marketing funnel and if you were falling out of a building or had to give somebody the elevator pitch for your business and you’re trying to sell your business and talk about the value of your website you need these numbers what how many visits you’re getting on your site and how engaged are they how long are they sticking on your site and how many need sorry leads are they yielding maybe I should be on my seventh glass of wine during this time. 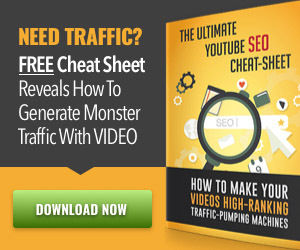 but we’re already too far into it to re-record it so how many leads are they wielding to your site how many leads are they yielding Find out how using this funnel too. Why information products will make you lots of money?